And this is followed by our Best Of series — in this case, a vocation journey with SISTER MARIE SUZANNE, OCD. 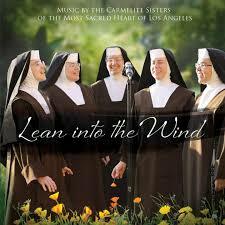 She’s a vibrant member of the Carmelite Sisters of the Sacred Heart of Los Angeles. Listen to Sister speak of that nudge from within… it led to a life she never expected. But it’s a joyous life. And speaking of joyous – we include some music from most all the Carmelite Sisters as they sing original compositions on their LEAN INTO THE WIND CD. It’s joyous and up lifting. 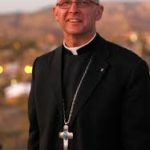 This entry was posted in Podcasts and tagged Bishop James Wall, Sr. Marie Suzanne, Vitamin W. Bookmark the permalink.